It’s hard to let summer go. Really, it’s hard to accept that winter’s getting closer. Fall is actually my favorite time of year, but this fall has been pretty brutal so far. It seems like we went from summer to winter overnight. You know winter’s getting really close when the ice cream stands start to close up for the season. When we moved here a couple weeks ago, one of the first things J noticed was the drive in just down the street had a “Closing Soon” sign. We found out “soon” was October 31, so we had to hurry if we wanted one more shot until spring. After J got home from work, we made a run to the Social Security Administration office. J picked up our marriage certificate from Cook County when she was home last week, so we could finally start changing her last name. Boy, I am glad we don’t have to go to that place very often. On the way home, J suggested we stop for some root beer floats. We had already eaten lunch, but who doesn’t like an ice cream snack in the middle of the afternoon? 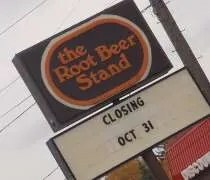 The Root Beer Stand has two locations in Kalamazoo. There’s one in the Milwood Neighborhood on Portage Avenue, but the one closest to our house is on South Westnedge near Kilgore Road. 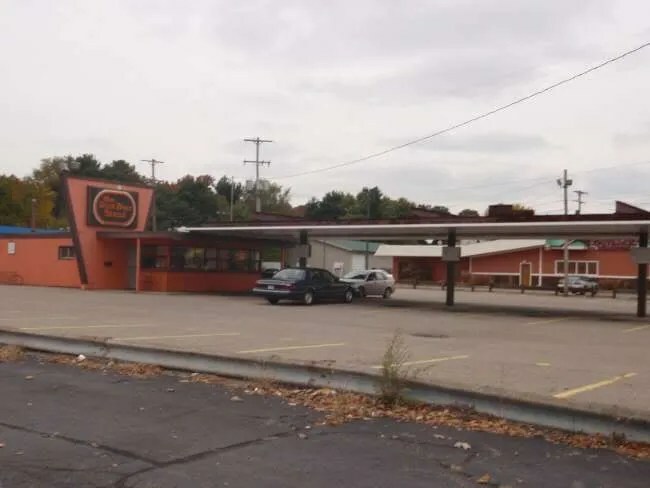 It’s an old drive in that looks to me like it used to be an A & W.
There’s nothing fancy about the Root Beer Stand. There are no speakers or lighted up menu boards. The small menu is painted on a white sign and nailed to the canopy supports. When we pulled up, there were a couple other cars in the lot and a carhop was making the rounds. She dropped off an order at one car then came over to us. Like I mentioned, there’s not much on the menu. Hot dogs seem to be about the only real food..well, that and something called a Hot Fluffed Ham and a Ham and Cheese. We just wanted Root Beer floats. Since Root Beer is their namesake, it’s got to be good, right? The carhop asked if we wanted it to go or if we wanted a tray for the window. We chose to-go which put the floats in Styrofoam cups. Had we stayed, the drink would have come in a glass mug, but there was really no need for that. We needed to get home and we didn’t need to make the poor girl keep coming back. She walked up to the main part of the building and yelled in the order while we got our money together. They only accept cash which wasn’t a problem because our bill was only a little over three bucks. The floats were delicious. The ice cream was really cold and it had sort of an ice layer on it. The Root Beer by itself was delicious. 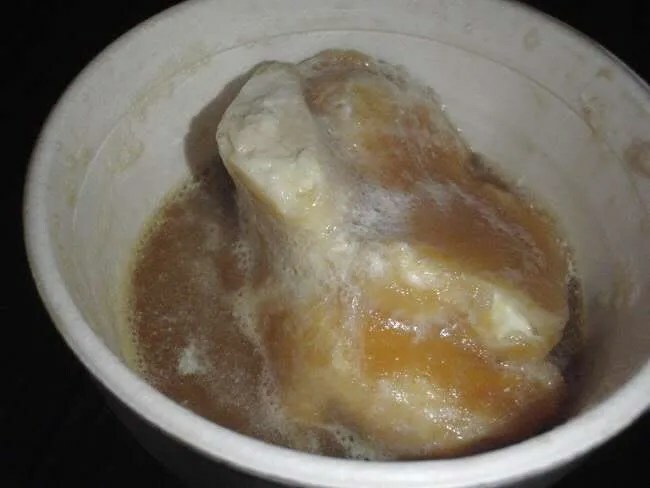 Root Beer isn’t really one of my favorite drinks, but I could see myself drinking gallons of this Root Beer. For a little over a dollar, we got a pretty large drink too. I was actually surprised that we got as much as we did. You can’t say anything bad about a place like The Root Beer Stand. It is what it is and I, for one, really like that. They don’t have a huge menu and you’re not going to get a gourmet meal, but you are going to get some really good, old-fashioned food. The rootbeer stand has the best rootbeer in draft that you can buy in the S.W. Michigan. It is always ice cold and never watered down with ice. The hot dogs are always fresh and made to order fast as you wait and served promptly. The popcorn is the best, served warm and seasoned perfectly. Well worth drive . The service is fast and accurate delivered by car hops that always have a smile and a friendly attitude that makes a customer feel welcome and wanting to go back for more. The perfect fix to your appetite and thirst on a hot summer day.